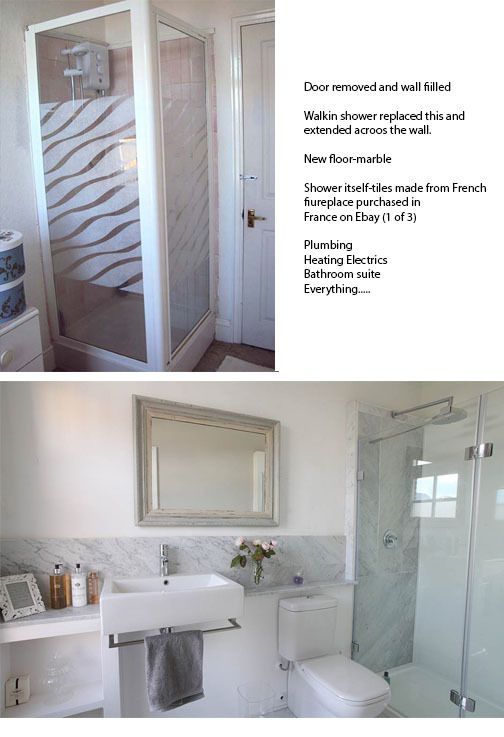 An Edwardian house we owned and transformed ourselves. We pretty well changed everything except the floor boards( which we exposed and sanded/painted) and the original cornices and sash windows! Artex was all over the walls and ceilings, which i plastered over. 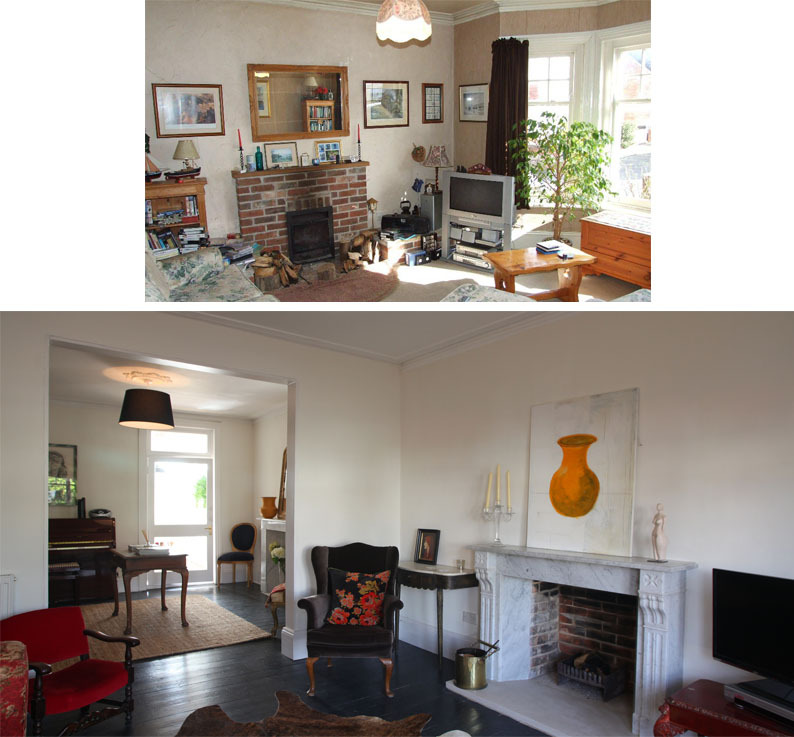 We opened the up the living room to the dining room….we added a fireplace we sourced in Northern France on Ebay…. 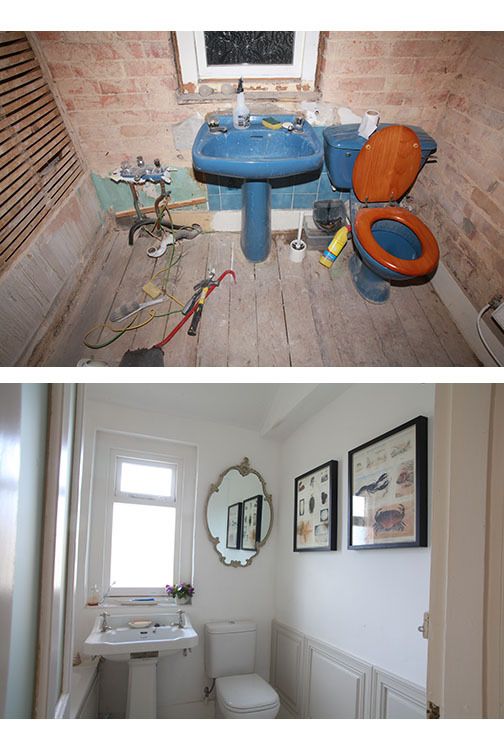 Bathroom in the same house. It was totally transformed-all by us. Marble from a fireplace we bought from France. Another bathroom in the same house. (Raised the ceiling height-not shown in images) New everything. An annex to the side of the house. We opened it up to the kitchen so the rooms became one and the annex became a dining area. 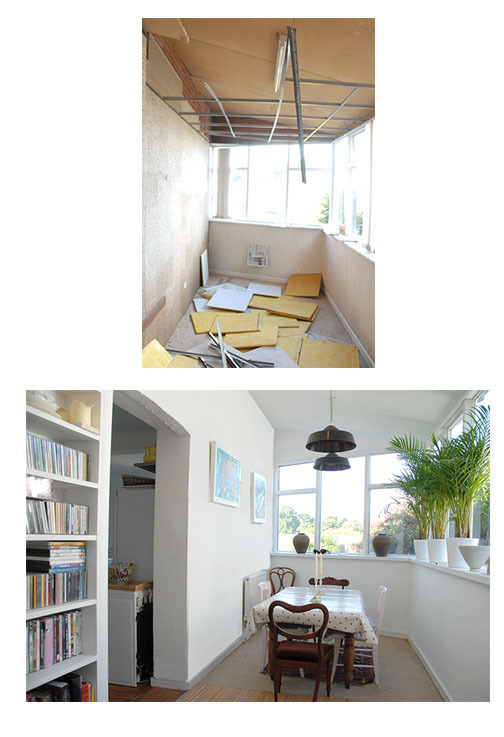 The book cases/display to the left we built…plastering, new ceilings and lighting..windows renovated…plastered etc …..